An active protection system for naval vessels and a naval version of the Israeli Iron Dome air defence system are just some of the naval defence technologies Rafael Advanced Defense Systems featured at Euronaval 2018 in Le Bourget Paris from the 23-26 October. For the first time at the show, the company unveiled ts new ATDS – active Advanced Torpedo Defense capability for surface vessels. “ATDS is a unique, innovative capability for surface ships, providing detection capabilities, locator sensors, and neutralisation capabilities for naval forces,” says a spokeman for Rafael. 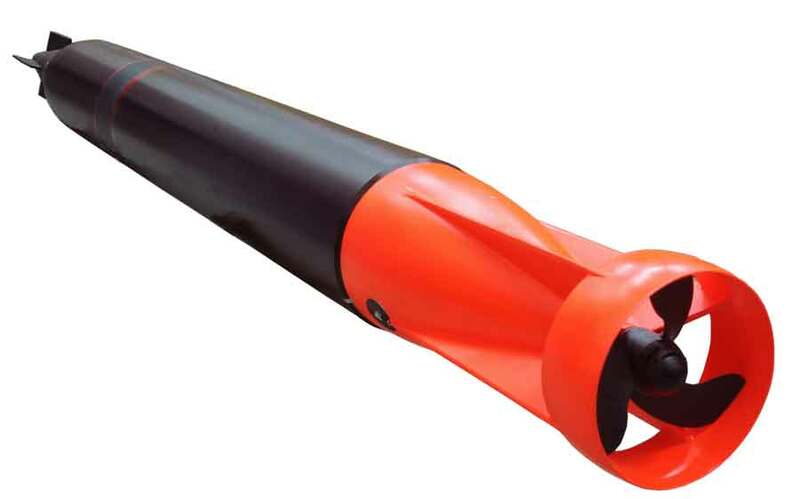 ATDS is based on Rafael's Torbuster underwater active decoy torpedo countermeasure and provides defence against all types of acoustic homing torpedoes. Upon detection of an incoming torpedo (external to the system), the ATDS launches a decoy from an external launcher. The decoy propels itself to a safe distance from the submarine and seduces the incoming torpedo by transmitting specific acoustic signals. As the torpedo homes in on the decoy, the decoy senses when it is at the closest point of approach and self-explodes, inflicting sufficient damage to the torpedo to neutralise it. Rafael's C-Dome Naval Area Defense System is based on the Iron Dome and designed to effectively protect combat vessels against a range of modern threats. C-Dome handles saturation attacks by engaging multiple targets simultaneously. Reaction time according to Rafael, is very short and enables automatic and semi-automatic engagements. Components include a multi-round launcher assembly loaded with vertically-launched canistered interceptors. The launcher is installed under the ship's deck. C-Dome uses the ship’s own surveillance radar and does not require a dedicated Fire Control Radar. Weapon System Command and Control is seamlessly integrated with the ship’s combat management system, facilitating system operation. Rafael emphasizes that C-Dome uses the combat-proven Iron Dome interceptor that has already achieved more than 1,500 successful intercepts. It says the interceptors are maintenance-free and are stored in a sea-proof canister. Up to eight interceptors can be loaded into a modular Vertical Launcher Unit. The Sa'ar 6-class corvettes, built in Germany for the Israeli Navy, are designed to carry a combined air defence system comprising the Barak-8 from Israel Aerospace Industries (IAI) and Rafael's C-Dome. "The systems will be used according to the threat,” said an Israeli industry source. “In some scenarios, both interceptors will be launched." The Sa'ar 6 corvettes are mainly built to protect the Israeli Exclusive Economic Zone, which includes the huge gas reservoirs in the Mediterranean, from attacks by Hezbollah in Lebanon. 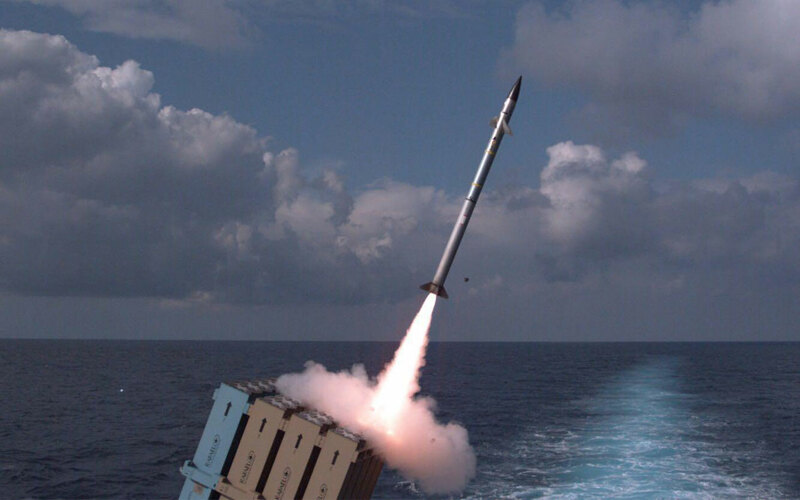 According to IAI, the Barak 8 provides the ultimate protection against a variety of aerial platforms and munitions including aircraft, helicopters, unmanned aircraft and sea-skimming missiles. It is based on a sophisticated missile (developed in collaboration with Rafael), state-of-the-art phased array multi-mission radar, a two-way data link and flexible command and control system. Barak 8 can operate day and night, in all weather conditions, and can deal with simultaneous threat engagements, even in severe saturation scenarios. The system has a very short reaction time and a fast missile vertical launch capability with 360-degree coverage. The system optimises the co-ordination between the missile and batteries by using an advanced broadband communication network. The missile deals with short, medium, and long-range threats. Its interconnectivity amongst various ships in a naval task force enables it to be used as a multi-layered air and missile defence “system of systems”. An IAI spokesperson said that a typical ship installation includes four vertical launchers each carrying eight missiles.The Barak-8 has an effective range of 70 km. There are plans to develop an extended range version, which will have an add on booster, giving the missile a 150 km range, the company spokesperson stated.